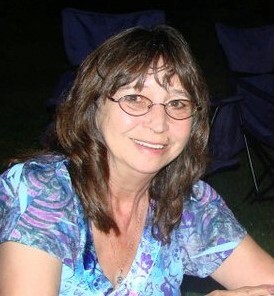 Kathy Susan Farrow, 67, passed away September 27, 2018. Visitation will be 1:00 on Wednesday, October 3, with the funeral service to follow at 2:00. Services will be held at Park Lawn Funeral Home, 8251 Hillcrest Road. Burial will be in Memorial Park Cemetery. Kathy was born December 6, 1950 to Ohmar and Kathryn Muncy. She leaves her husband, Jamie Farrow, her daughter Melissa Johnson and husband Kem, her sons, Bill Farrow, Tim Farrow, and Jackson Farrow, her sisters, Andrea Wyckoff and husband Donn, and Janice Hale and husband Kevin, grandchildren, Darrin, Lynn, Keeley, Mason, Brenden, Blake, Jackson, Elizabeth, Allison, Naveah, Aiden, Derrik, Timmy, Izzabella, great-grandchildren, Chloe and Zander, and many nieces and nephews. Kathy is preceded in death by her parents, daughter Michelle, and brother David Muncy. I worked with Kathy for many years and she left behind a lot of good memories. God Bless her family. I was so saddened to hear of Kathy's passing. I loved her dearly. We had many good times while working together at Warehouse One. If we didn't talk much, we ALWAYS called each other on our birthdays. I will miss that call this year. :( I pray for peace and understanding for Jamie and all of her children and many Grand-children. May God bless all of you.